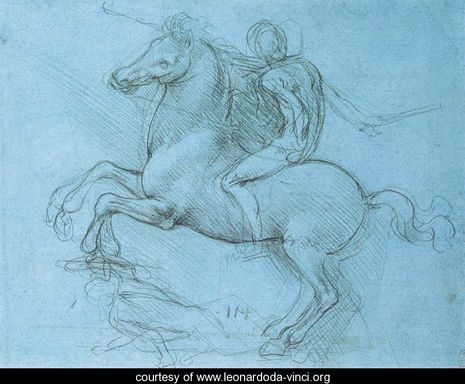 [Leonardo] worked on many different projects for Ludovico, including the preparation of floats and pageants for special occasions, designs for a dome for Milan Cathedral and a model for a huge equestrian monument to Francesco Sforza, Ludovico's predecessor. Seventy tons of bronze were set aside for casting it. 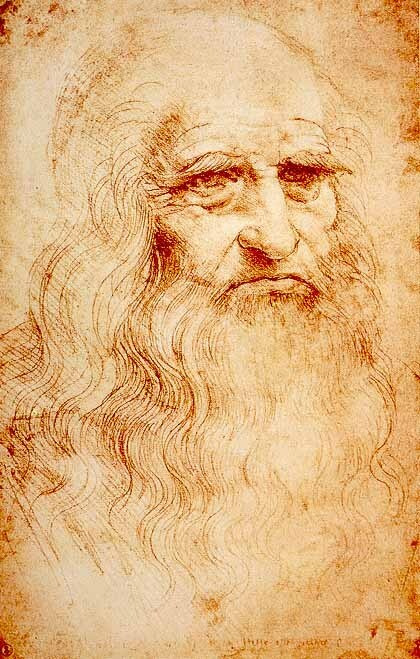 The monument remained unfinished for several years, which was not unusual for Leonardo. 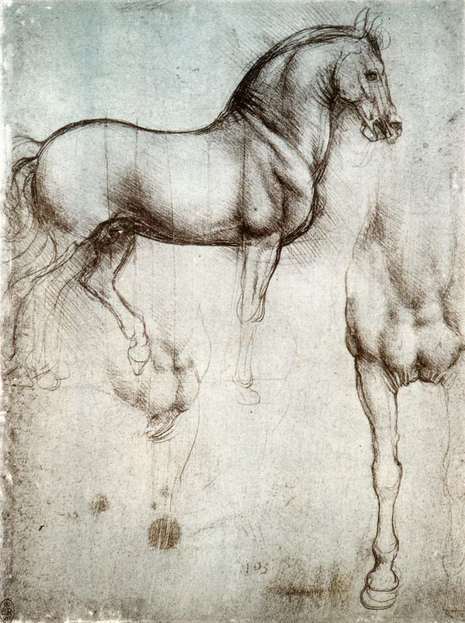 In 1492 the clay model of the horse was completed. 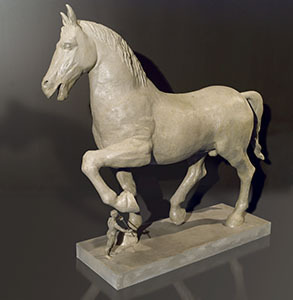 It surpassed in size the only two large equestrian statues of the Renaissance, Donatello's statue of Gattemelata in Padua and Verrocchio's Bartolomeo Colleoni in Venice, and became known as the "Gran Cavallo".